Take charge of your data with our USB data services. We handle everything from preloading to customized Auto Launch menus, Data Lock and more! 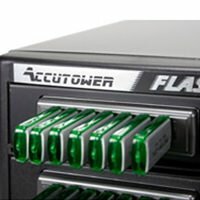 Need More Flash Drive Data Loading Ideas? Add password protection—in an era where secure content is a rising concern, we can add a layer of privacy that requires a password for access. Use a custom icon—we can transform your default icon into a standout image for quick user identification and enhanced appeal. 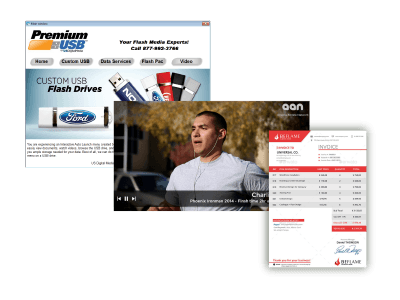 Create a custom menu display interface—with Auto Launch, we can help you design a one-of-a-kind interactive menu complete with logos, photos, subpages and background design. 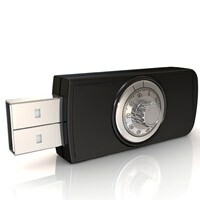 USB data loading is the best way to maximize the branding of your flash drives. It involves taking various forms of digital data and preloading it to a USB before it ever reaches the hands of your target audience. The only limit of a preloaded flash drive is your imagination! 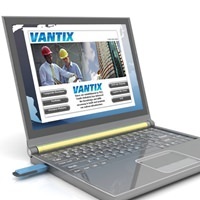 Choose how users view and access this data with videos, slideshows, catalogs, applications, site links and interactive menus. These are just a few options that can enhance the function of your drive. You can hook someone with the novel appearance, but you keep them around with what you can offer. By giving equal effort to what goes inside a flash drive compared to its customized exterior, you'll double your promotional potential. The useful features provided by the device's preloading encourage user interaction with your brand. Using state-of-the-art equipment, we have the capability to preload and duplicate hundreds of USBs at once so that we can get your order to you quickly and effectively. Our preloading is also customized to your needs. 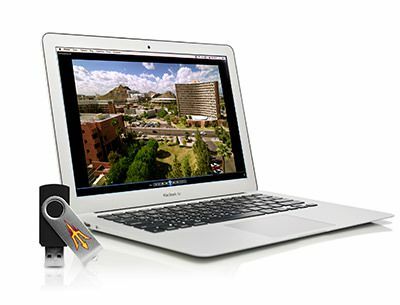 Content can be made erasable so users have the option to expand the function of their flash drive when storage capacity demands it. We can also create non-erasable contsent so that your data stays with an individual as long as they use the drive. Compatible with PC and Mac-friendly programs, USB flash drive data loading is offered for free to our customers. Browse our comprehensive services below to determine what works best for you. If you cannot find what you are looking for, contact one of our representatives to see how we can help.